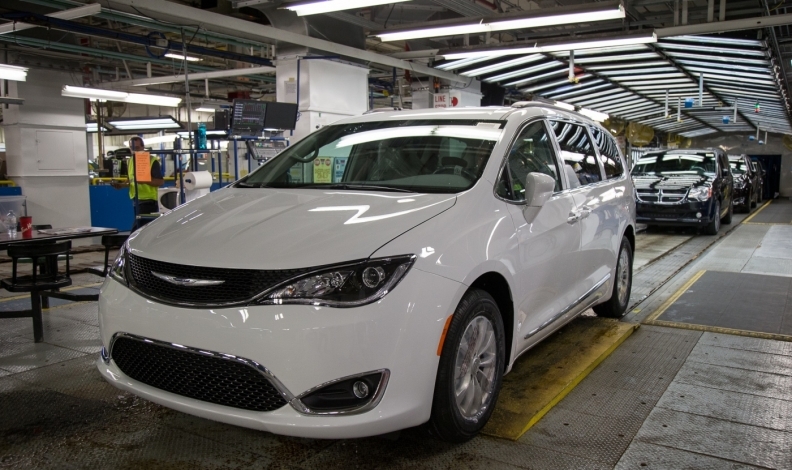 The Chrysler Pacifica is made at FCA's Windsor Assembly Plant in Windsor, Ont. The majority of the vehicles are shipped to the United States. U.S. President Donald Trump has threatened tariffs of 10 per cent on auto parts and 25 per cent on assembled vehicles imported to the United States from Canada. BNN Bloomberg, the Canadian business television network, has broken down the key figures from a number of reports and studies on the potential impact of U.S. auto tariffs. 2020 — That’s the year the United States and most of its trading partners, including Canada, would face a recession caused by a trade war centred around auto tariffs, according to Scotiabank deputy chief economist Brett House. 400,000 — That’s the number of assembled vehicles that would be cut annually from Canadian production if the United States applies tariffs on all imported vehicles, according to CIBC. 900,000 — That’s the number of assembled vehicles that would be cut annually from Canadian production if the United States applies tariffs on only vehicles imported from Canada, according to CIBC. 160,000 — That’s the number of Canadian job losses U.S. auto tariffs would cause, says a report by TD Bank. 15 — That’s the number of percentage points the Canadian dollar would fall in the wake of U.S. auto tariffs, according to a report by TD Bank. 8.9 — That’s percentage decline in Canadian business investment, says TD Bank. On Friday, the United States started imposing tariffs on US$34 billion of Chinese imports, including auto parts. You can see more from BNN Bloomberg in the video player below.